My name is Paul Levett and I live in Arlington, VA, and work in Washington, D.C. I ride an electric bike for commuting, child transportation, and grocery shopping. 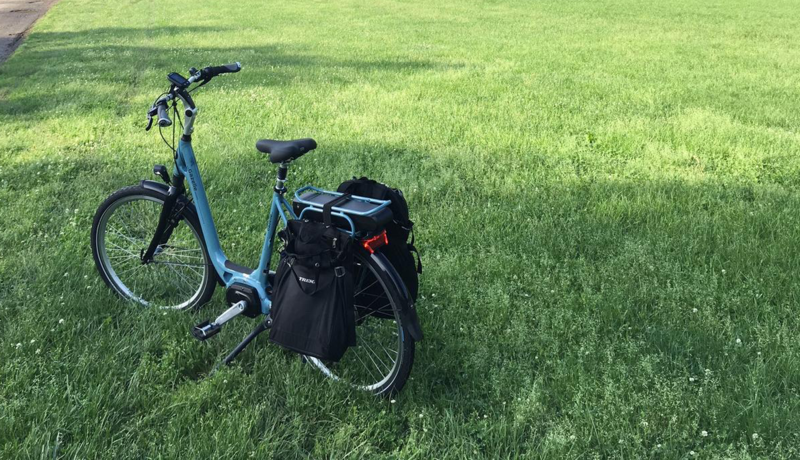 I test-rode a Gazelle Arroyo at the 2016 Electric Bike Expo roadshow outside DC and I really enjoyed the bike so I jumped at the chance to ride a Gazelle EasyFlow with the Shimano STEPS motor for one month. My morning commute takes me downhill to the Potomac River, but it is uphill most of my way home. 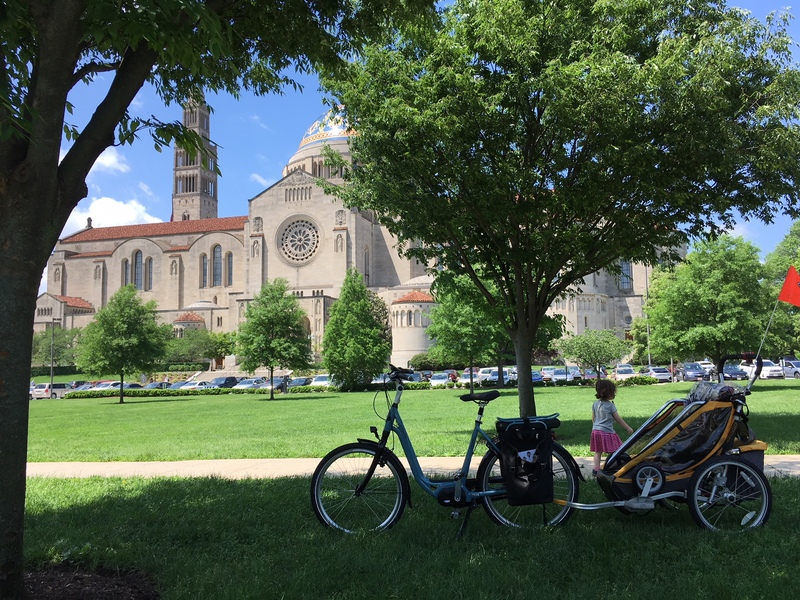 I found that the Gazelle EasyFlow’s monoshock fork and seat post suspension absorbed bumps from tree roots on the asphalt path beside Arlington Cemetery. The 1.75" wide tires felt comfortable riding over the spalling and wide cracks in the Memorial Bridge sidewalk’s concrete. Starting from a stop at traffic lights on my commute home I really appreciated how the EasyFlow frame with the Shimano STEPS mid mounted motor is purpose designed for internal gear hub shifting so I could shift down when stationary and facing up hill. The horizontal rear fork ends and tension bolts help ensure reliable and precise gear shifting. 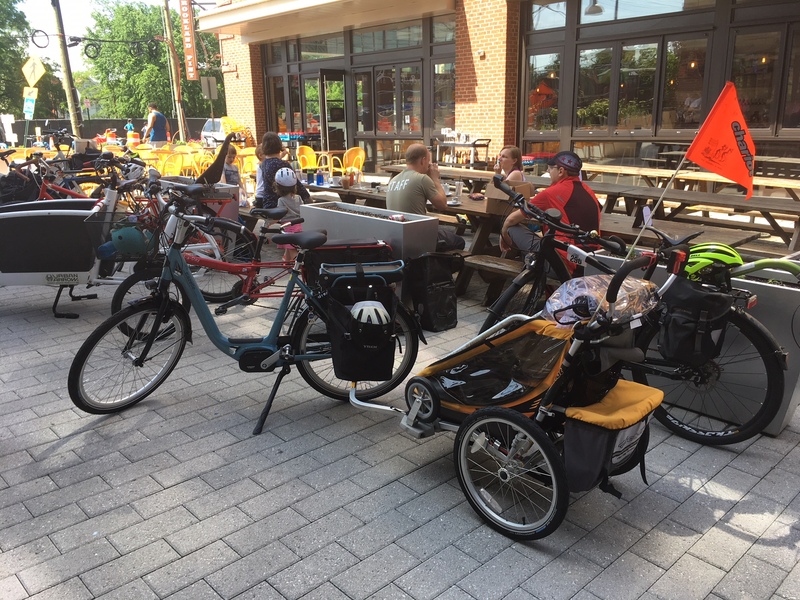 The weekend after I picked up the Gazelle EasyFlow I brought it to a meetup of a DC Family Biking group. I added a Thule internal hub hitch adapter axle nut to tow a Chariot child trailer, and thought it would be interesting for other parents to test ride the EasyFlow set up to tow a child trailer alongside longtail and box cargo bikes. Parents who prefer to carry a child on the bike could fit a child seat that clamps onto the rack. I took the EasyFlow on my weekly grocery runs. The rear rack is a two-tier design featuring pannier rails on either side. It comes with a triple cord bungee strap but I also added bungee cord hooks so I could fit two clip-on panniers to hold shopping bags. When I picked up groceries I was hauling the weight of the bike, rider, shopping, plus a toddler and trailer. I appreciated how the Shimano STEPS system could sense when and how hard you push to deliver proportionate power with each pedal stroke so I could safely climb hills when loaded. 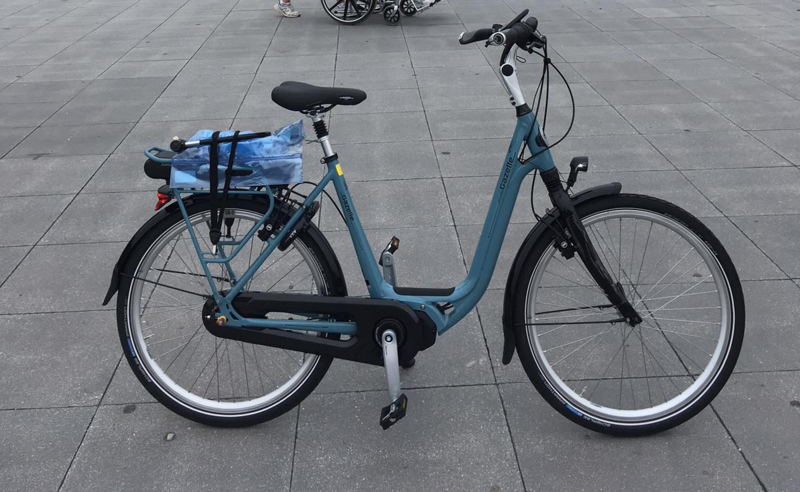 Although I missed having the throttle on my own electric bike when starting from a stop uphill and in low speed maneuvering, but I appreciated the EasyFlow’s walk assist feature which provided useful power to help me push the bike up ramps. 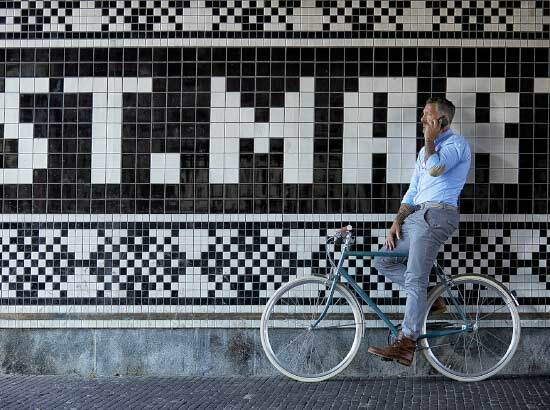 Gazelle may be unique in offering seven different frame sizes of step-through electric bikes so different size riders can find their best fit. The three frame sizes of the shorter 26″ wheeled EasyFlow complement the four frame sizes of the larger 28″wheeled Arroyo. One of my favorite features of the EasyFlow is its low stand over height and clear step through frame, this made it easy to hop on and off the bike when commuting, towing a child, and carrying groceries. I liked the responsive torque and cadence pedal assist system, and how well the Nexus 8 internal gear hub shifting worked. Thank you, Gazelle, for giving me the opportunity to take an extended test ride on this state of the art pedelec electric bike.